Madras High Court Recruitment 2019: Madras High Court, Chennai, Tamil Nadu / www.hcmadras.tn.nic.in is conducting recruitment processes to fill 68 vacancies. As of now, there is one recruitment drive going on for 68 Law Clerks Posts. Madras High Court Recruitment 2019 - Job notification for 68 Law Clerks Posts in Madras High Court, Madurai, Tamil Nadu on Ad hoc Basis. Applications are invited by Madras High Court, Chennai, Tamil Nadu on or before 25 Apr 2019 for 68 vacancies. 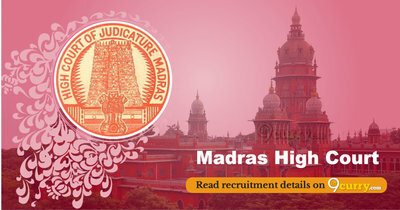 Madras High Court Recruitment 2019 - Apply Online for 31 District Judge Posts in Madras High Court, Tamil Nadu on Direct Recruitment. Online Applications are invited by Madras High Court, Chennai, Tamil Nadu from 13 Jan 2019 to 04 Feb 2019 for 31 vacancies. 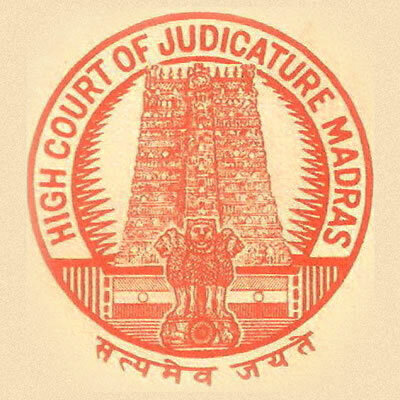 Madras High Court Recruitment 2019 - Apply Online for District Judge Post in Madras High Court, Puducherry on Direct Recruitment. Online Applications are invited by Madras High Court, Chennai, Tamil Nadu from 08 Jan 2019 to 01 Feb 2019 and Preliminary Examination 23 Mar 2019 and Main Examination 18 & 19 May 2019 for 1 vacancy. Madras High Court Recruitment 2018 - Job notification for Research Fellow & Research Assistant Posts in Madras High Court, Chennai, Tamil Nadu on Ad hoc Basis. Applications are invited by Madras High Court, Chennai, Tamil Nadu on or before 18 Jun 2018 05:00 PM for 4 vacancies. Madras High Court Recruitment 2018 - Job notification for 82 Personal Assistant & Personal Clerk Posts in Madras High Court, Madras, Tamil Nadu on Regular Basis. Applications are invited by Madras High Court, Chennai, Tamil Nadu on or before 04 May 2018 till 05:45 p.m. (extended till 18 May 2018 till 5:45 PM) for 82 vacancies. Madras High Court Recruitment 2017 - Latest job notification for Law Clerk Vacancies in Chennai on Ad hoc Basis. Applications are invited by Madras High Court, Chennai, Tamil Nadu before 16 Aug 2017. Madras High Court Recruitment 2017 - Latest job notification for 127 Sweeper & Sanitary Worker Vacancies in Chennai​. Applications are invited by Madras High Court, Chennai, Tamil Nadu before 20 Jul 2017 for 127 vacancies.